Mar 16, 2017: I need a professional to proofbuild my PC since I'm new to pc building. Apr 04, 2018: I’m at my wits end. 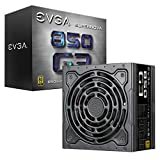 Nov 23, 2018: New to PC building, looking for guidance.